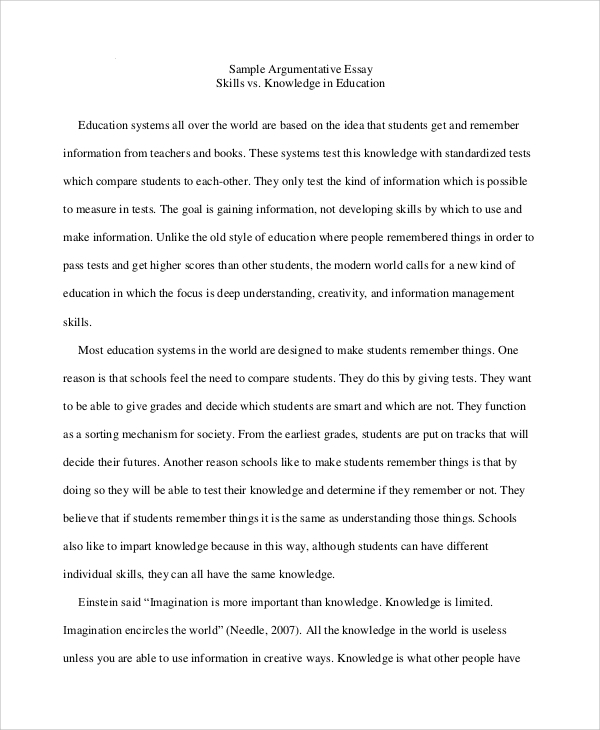 Essay writing is a skill that every person should possess from childhood. It is required in every step of life. Students need to know the art of writing essays of different types as they will come handy in every walk starting from admission, scholarship to any competitive contest and debate. 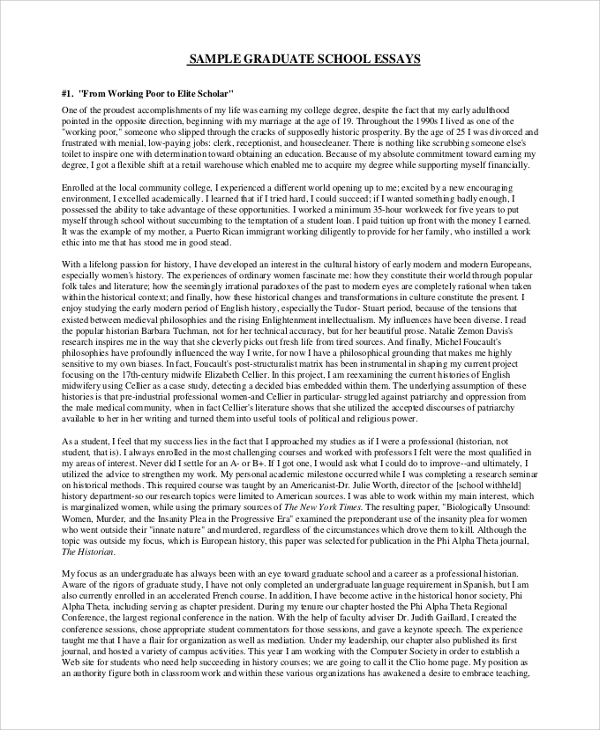 Various types of essays require different approaches and styles of writing, all of which are explained and illustrated in the following Sample Essay. 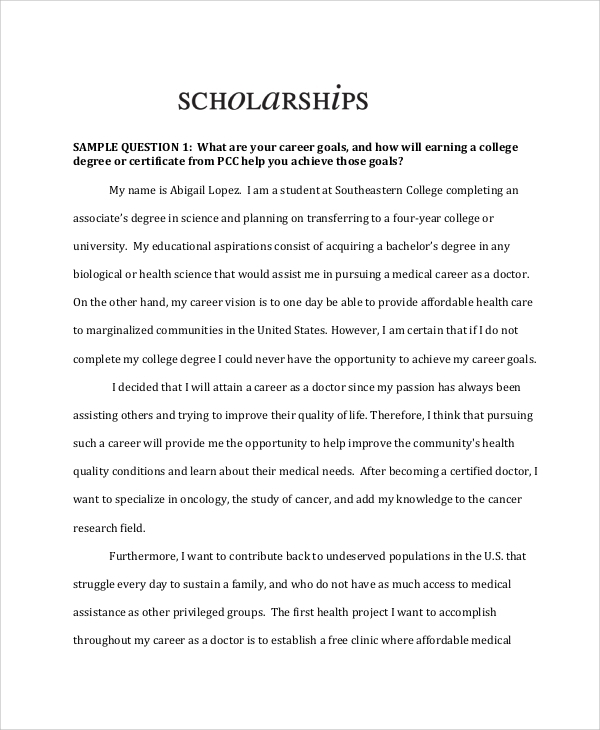 This is a great example of college essays that are required for the exam, for competitive contests or even for a scholarship contests. 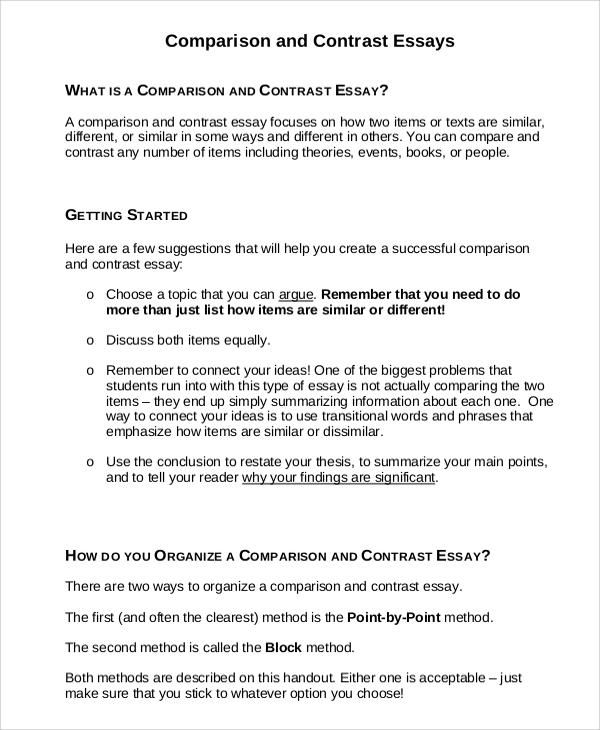 It is a two-page essay that shows the tone and the flow of how a college essay should be written. This is a great college of graduate essay samples. It contains four different essays, and all of them are unique. 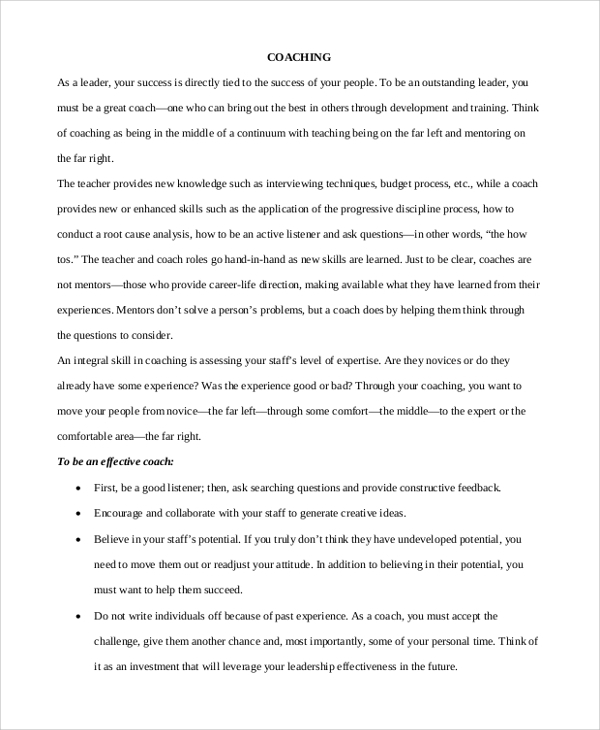 They come with a comment to explain the essential points and takeaways from each one of those essays for better writing. This is a sound argumentative essay sample. It lists the points to cover, makes a demarcation between two side and the main ideas. Then it illustrates how to cover the points in different paragraphs to convince the reader to one’s viewpoint. Essay writing is a skill that gets tested in school, colleges and even comes handy in the corporate life. Corporates have to write essays such as personal statement to address a problem and report it to the higher authorities. Such essay writing requires definite guidelines and steps to follow to come out as a winner. The above-listed Essay Examples provide different types of essays with instructions and illustrations and one can also understand the tone and the flow to follow. Most of the colleges ask the candidate willing to take admission to sending an essay on a particular topic so that they can judge his/her skills. 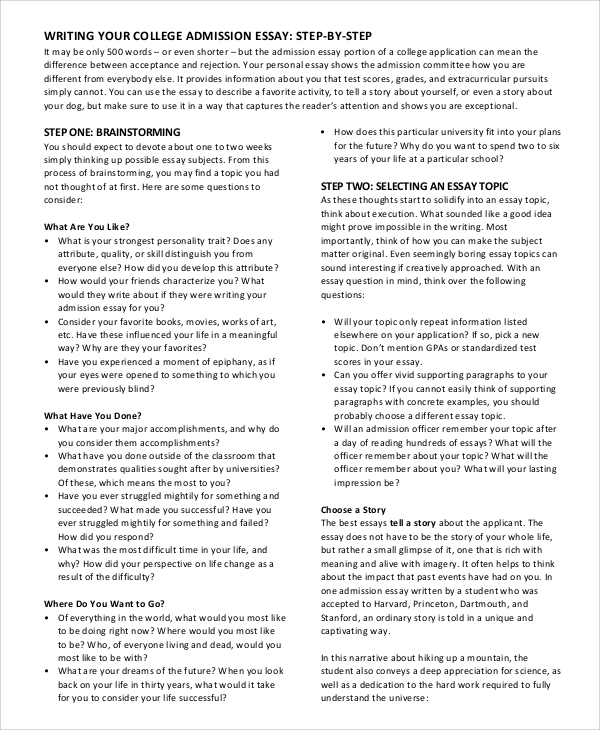 This manual guides one to write a perfect college admission essay with step by step illustration with examples. This is a Personal Statement Sample essay whereby the candidate has to express his own opinion and back it up with proper reason and facts. It is not actually an argumentative essay but it is similar but rather than convincing, it just states the facts for the readers to agree. The targeted audiences for the essay samples are the students from schools to colleges and even universities. Students of high school need to write college essays, graduate essay and even argumentative essays for admission, general exam, competition and debate. They are required for scholarships. Even corporates and professional need them to write personal statement essays. You may also see the Outline Samples. The above-listed essay samples have different types of essays that are required for the students such as college admission essays, argumentative essays for debates, personal statement essay for the general examination. 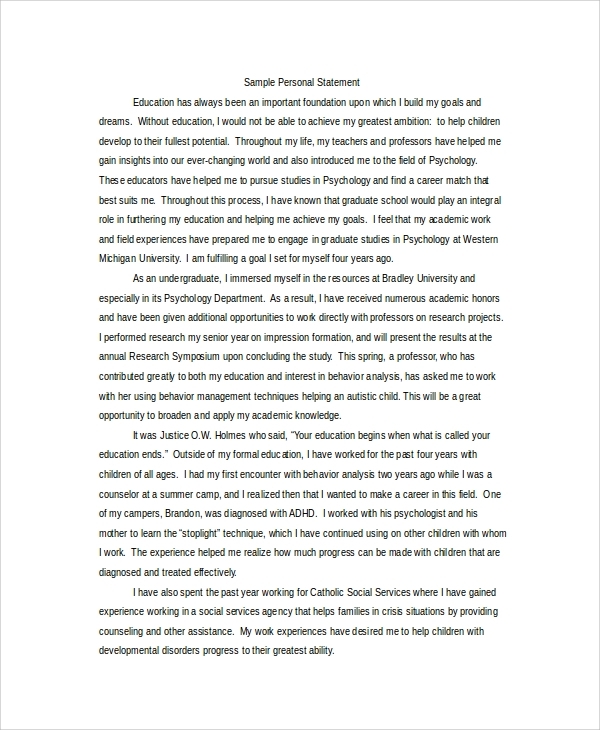 Personal Statement essays are also needed by the professionals to present their views to the higher authorities. There are college and graduate school essays as well.